he stood at the doorway watching her. her eyes were dreamy yet they sparkled with merriment, or was it mischief, every now and then. but then back they went to another world where likely fairies and fauns lived and also rajkumars and their princesses. it never ceased to astonish him or touch him that she could so easily move between worlds, completely comfortable talking to stars one minute, and making the bed or doing something equally mundane, the next. it was as if there were no walls, no limits, that separated the hard material sphere and a realm outside it, a realm made of memory, faith, trust, joy, and perhaps some hot crunchy jalebis. he started to smile as he came to the last couple of words. it was a smile that usually made her heart skip several beats whenever she saw it. but right now she was too engrossed to notice. the travelator on which she stood went round the exhibits in one continuous loop, most visitors to the tower of london stood on that moving walkway and gazed in astonishment, wonder, and maybe even with a touch of envy and covetousness at the dazzling, resplendent, utterly majestic array of the british crown jewels. crowns of queens and queen mothers, sceptres of kings and princes, stories of conquest and empire… royalty letting you know of its pomp and power. magnificent gems glittered bright and glorious, placed with awe at the centre of a fabulous crown or the handle of an imperial sceptre, or studded onto a little princess’s spoon. there were diamonds the size of pigeon’s eggs or larger, there were rubies, emeralds, sapphires and more. it was hard not to be moved by what one saw. and it possibly made the viewer quite completely forget that just a few hundred yards away was the not so towering tower where queens and princes and earls and viscounts and the powerful of the land were once beheaded. khushi’s eyes glittered, then she folded her hands and seemed to be praying to devi maiyya. this was possibly the fifth or sixth time she had gone around the exhibits. every time at a certain point, the transformation took place. she suddenly peered closer, looked keenly, her eyes narrowed and filled with khushi like emotions, not always easy to decipher. and then came the praying, lips also moved as she muttered under her breath. just watching her, standing at the entrance to the hall, asr felt a lightness settle around his heart. it was saturday, he had a little time to take it easy, go out with khushi and show her some typical places tourists went to. then he frowned and wondered why in all these years he’d come to london he had never seen any of these things. london to him was always about work. about ar and its prospects. where it was important to have a base if one wanted to really make a mark in the world of fashion and luxury. he did not come here to see the buckingham palace or the london bridge or saint paul’s or for that matter, the crown jewels. he went every day to the office and he worked and ran ar. khushi was so immersed in her mysterious quest, she did not notice he’d stepped onto the travelator when the crowd started to thin. he had made sure he was right behind her, in fact. it was only when he slipped an arm around her waist from behind that she jumped up and glared back, now only anger shining in her eyes, lips tightened too. “kya…!! !…” she started to yell when she realised she was staring straight into shimmery chocolate brown eyes. dazzling brown actually, bright and glorious. her words did an about turn and went and hit the back of her throat instead of coming out and slaying the offender. she stared, her knees beginning to feel a bit weak already. only one pair of eyes in the whole wide world had this intensity, this colour, this perfect clarity… and this dazzle. and when he smiled that slightly baiting smile with the tiniest movement of his lips, his head bending closer, the eyes seemed to catch a dark light, and glinted with piercing brightness. devilish, provocative, made her dizzy every time. he grinned, the flash of white teeth acting immediately on her heart rate, and slipped his other arm around her waist to pull her close. even through the layers of jackets and cardigans, she could feel his touch, his skin seemed to caress her back. she felt a breathlessness rise. her head stayed turned back looking at him, still. “uh huh, won’t you look at the diamonds and gem stones, khushi!” he was clearly teasing her, completely aware of the impact he had on her senses. that was exactly what he’d planned to have. “tell me, what is so interesting here that you’ve been ignoring me all this time?” he nuzzled her neck, and pecked her lightly exactly where he knew she’d feel it the most, just where her collar bone ended and shoulder began. khushi shivered, hissing as she inhaled sharply. her stomach did a treacherous somersault and emptied out. a warmth spread across the soles of her feet. arms went around her knees and shoulder and the next instant she was aloft, aranv ji had picked her up, and he was smartly carrying her and stepping off the travelator! “hey devi maiyya, how does he read my mind… does he also know what i thought…” khushi grabbed his collar and looked down, blushing. his eyes moved lazily over her face recording her reactions, his smile went a bit more slanted, obviously intent on completely disorienting his wife. surviving this light, relaxed laad governor was becoming quite a task. what had happened to arnav ji? was he looking even more handsome than what she was used to?… she thought again as she had several times ever since they’d come here. must be that long coat he wore, or something. yes, sometimes he wore a hat too. topi. she wanted to laugh and say funny things, but what she usually could manage was a choked gurgle. not very elegant. she looked at his dark glossy hair fixedly now. all sorts of burey khayal came to her head when she saw him, thoughts no one should read, yet she had a feeling he did. otherwise why did he tip his head to a side like that and smile at times. this was all getting to be too much. he kept walking with her in his arms. “what were you looking at for so long, khushi? what were you thinking of?” he asked as he set her down when they had left the tower premises, but then kept holding her with an arm possessively slung around her middle, pulling her in slightly but firmly. “that’s why i was praying to devi maiyya and loking at it again and again. it’s ours, na, why should it be here… haan?” she was giggling. obviously well aware by now that this was yet another fanciful thought of hers. asr shook his head ruefully and caught hold of her hand, walking toward the tower bridge. in her pale blue churidar with the mandatory gota and pompoms, a knee length quilted coat in ivory with fur trimmed collar, she had insisted it had to be fake of course, a fine tea rose pink cashmere scarf matching the pink trimmings on her churidar kurta, her hair tied in a neat little bun so she could pull on her hood whenever needed, she looked so pretty and from another time, he wondered what she’d say if he told her she reminded him of the heroines of those films maa and mami used to watch on tv whenever they visited delhi over the school holidays. all that was missing was a puffed up bouffant hair do and thick eyeliner on both lids. he grinned at the thought and held her hand more tightly. khushi snuggled up to him remembering how firm his hand had felt even that night, when he had turned around at sheesh mahal and gone straight back to where danger and death lurked. she had not doubted him for an instant even then. she rubbed her face against the smooth material of his trench coat, he looked down at her and gestured with his head for her to see what was before them. they were at the railing of the bridge and the river thames lay below, in front and behind them. on either side was the city of london, graceful and sure, a sense of time and history wrapped in its known and not so well known buildings. steamers and speedboats went by. the greenish grey water swayed and moved, such a deep and wide river running across the heart of a city. it was a dull cloudy day, yet khushi thought it was beautiful. when arnav ji smiled like that nothing very much else mattered. she was standing on the steps of the temple, her heart gone blank, a buzzing sound in her ears. she could feel her cheeks burning, almost scorching. she knew that was a sign of anger coming on. shyam ji was a married man!?!! he was anjali ji’s husband? khushi’s head seemed to explode. was that pain or what was that feeling? she had never been lashed by such a storm of emotions, all powerful and exceedingly brutal. the simplest of answers really, because they were the same man. khushi, who had always had a head for maths, whom babu ji trusted with all the accounts of the shop, had not worked out this simple equation. her eyes widened as a wave of emotions swamped her while she stood at the terrace door. then she walked on jerky feet to the man who had wronged her and so many others and without thinking of anything, certainly not the consequences, she raised her hand and slapped him hard across the face. without a word, she threw her ring at him and left the terrace, head held high. it was only when she went inside that the full impact of what she had just discovered hit her. she could feel herself shaking from within and the more she tried to rush the more her legs felt leaden, dragging her down. in a disoriented broken state, eyes swimming with tears, she sought safety and walked ahead, now head down, trying to hide her tears. they were both engaged, given to others, they had no place in each other’s lives. ever since that day… khushi had avoided him the best she could. she had been conscious of never coming to his part of the house. always alert… mindful, she did not want to feel things she was not supposed to. then why, why today her feet had found their way here? why? again, khushi couldn’t add things up and come to a straight simple answer. shaken, she sat down to pick up the pieces of the coffee cup she’d broken when she dashed into him. her hands shook, her tears blurred her vision. she kept herself from whimpering. she told herself she had no right to throw herself on his wide solid chest and cling to him, screaming and asking why, why, this had to happen. she could not let his arms wrap around her and lay her head on his shoulder and feel taken care of, safe. she could not cry into his warm comforting body and tell him to make it alright, never let her feel like this again. she did not have the right to do any of that. he belonged to another. at the thought, more tears came flowing. “khushi?” his voice had lost all edge, tender and gentle it was and he knelt by her side peering at her. her tears glittered and shone. the evening sun sent sharp slanted rays to refract in them and make them bright and dazzling. he had caught her by the shoulders and made her stand. “what’s the matter? ro kyun rahi ho?” he had asked. khushi had stared at asr speechless. what could she tell him? that his sister’s husband was her fiance? he was the man she had been engaged to till five minutes back? no. her very being shuddered at the thought. it would break to smithereens anjali ji’s life. and arnav ji? her eyes searched his face. no. she couldn’t bear to hurt him. not him. he may be another’s but she could not hurt him. he had gotten more frantic. his voice had gone up, his hold on her tightening, eyes reflected the spectre of uncomfortable, terrible thoughts. “tell me, what has he done… has he hurt you, khushi?” asr had not been able to control the fury entering his voice, his being, at the very thought of anything untoward happening to her. anything… wrong. but khushi had said nothing, and then suddenly she’d turned and left swiftly, refusing to look back when he called out. she had left in a hurry from shantivan, the family was in the midst of a havan and she had been able to escape without much fuss. she had walked around blindly for a while and then gone where she always went when nothing in this world seemed right, when she needed solace and strength. she had gone to her devi maiyya’s temple. by a wonderful chance, or perhaps not chance at all, just as back home in lucknow, here too near bua ji’s house there was a beautiful temple dedicated to the goddess. her prayers were half way through when the calls started to come. and after she had rung off many times and still arnav ji refused to give up, she had answered him. “khushi?! are you okay? where are you?” he had asked, maybe his voice was gentler but she was too tired, too beaten to notice. she had still said nothing. “you won’t tell me?” why did he have to sound like that? again her tears had threatened to come. “tum theek ho?” he had asked softly. she had swallowed, mumbled and put the phone down. now she stood on the steps of the temple. again assailed by the unbelievable situation, the stark horror of it, the subterfuge and sheer menace at its core. how could this be? shyam ji, who had been practically thrust upon her by her well meaning aunt, whom she had agreed to marry only because her babu ji seemed to want it, who she thought was her friend, even if she didn’t love him and she felt maybe friendship would be the foundation on which she would build a relationship she had accepted the burden of having… shyam ji, who had saved her all those months ago at the bhoolbhulaiya, who had helped her get her job in delhi… who was always unfailingly kind and concerned for her… unlike the man she had just left and come… how could shyam ji who was so well spoken and who adhered to the best ideas of their tradition, how could he be such a lowdown unspeakable cheat? how could he be married and that too to anjali ji! 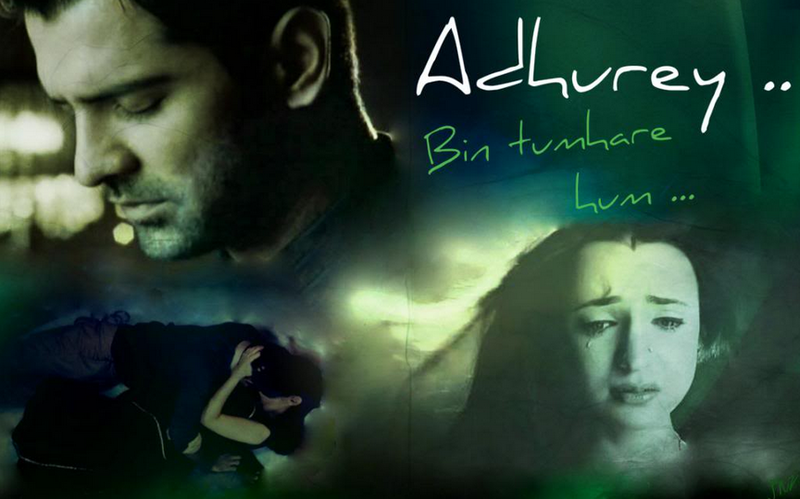 khushi closed her eyes, she wanted to throw up, her whole body jerked as she retched. why was she feeling so dizzy suddenly? was she going to pass out? she felt arms gather her just as she would have fallen on the steps. they both stood by the river lost in thought, their hands were linked, fingers playing unconsciously, saying things that words are not able to. “arnav ji?” khushi said looking out into the distance as the light dimmed and in the horizon a streak of red separated earth and sky. and lights started getting turned on here and there, in homes, on the streets, on the bridges over thames. “hmmm?” he was loath to let the silence go. he hadn’t been enveloped in a silence like this in years. perhaps never. yes, his world had gone silent one day and there were very few words in it for a long long time. but not a silence such as this. he put his arm around her shoulder and drew her to him. the water was shimmering darkly now… had he ever felt this peace before? “do you think they knew?” khushi asked. he had no problem understanding what she was trying to say. “perhaps not in a way we ‘know’ but in another way… the way…” his voice stopped and he looked for the right words. he swallowed as he thought of maa. she seemed to have melted and dissolved into every breath and space and atom around him. she was a presence in his heart, a voice in his mind, a sound of kangans, and endless peace… he kept quiet. this time he noticed he didn’t hear the gun shots. “yeah, i think they knew,” khushi smiled and looked at the first stars appearing in the firmament. her mother was there, somewhere… and no, no one could really hurt her… never. she sent a longing glance at a star that felt familiar. his fingers on hers tightened as if he knew exactly what she was feeling. some day, she thought, i will tell our kids about how ajeeb their father is, and how much love this khadoos laad governor had brought into their mother’s life. “yeh humne kya socha!” she shrieked. asr looked at her, eyes dancing. why had he imagined there might be any silence around his wife. futile thought. “what’s the matter, khushi? calm down…” he was struggling not to laugh. the drama never abated, not an iota, with this pagal he loved. “calm down?! kaise calm down!” she said with a frantic look and several quick gulps. children… she had been thinking of children?!! and that too while looking at the stars. 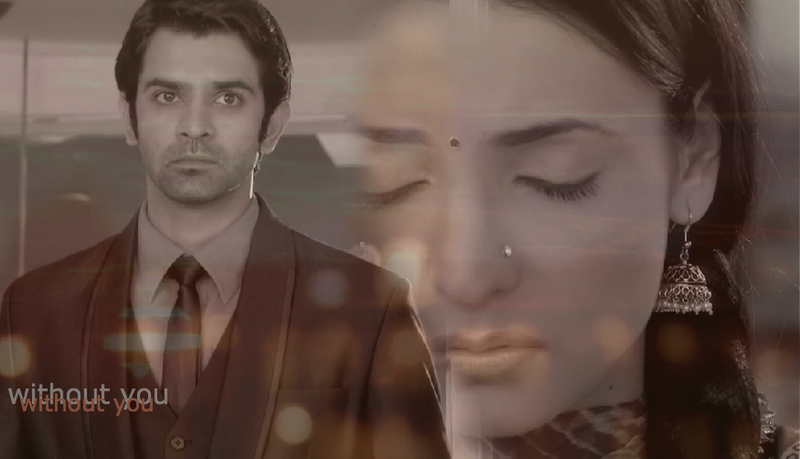 “come, let’s go get some dinner,” asr said cutting into her thoughts. but this time even food couldn’t divert her mind. imagine little little laad governors running around… she shut her eyes tight. she had almost fallen upon him at the poolside. and then when he’d asked her what was wrong, she had left in a rush without saying much… in fact, without saying a word. asr was well aware she was avoiding him. he had not wanted to meet her too. ever since that day… when he’d heard she had agreed to marry someone. the words had unsettled him instantly. ripping through him. how could she?! then he had remembered lavanya. a commitment. no, he was not a free man. yet it bothered him. bothered him so much to think of khushi with anyone. asr’s lips tightened, his body grew tense. why was she in that state. was it that man? anger climbed up the back of his neck, his ears and reached the pulse beating at his temples. it throbbed. he could feel himself lose his grip. he wanted to find this man and straighten him out. how dare he… had he done anything to her? but then her face floated up before him. so lost. so untethered. where was she? he must find her. he picked up his phone and started calling her. no answer. then she disconnected his calls. what the. how dare she! he made several more attempts. finally she picked up the phone. he tried to talk to her more calmly then… all he wanted was to know she was alright. why it mattered he had no idea, but he knew he had to make sure she was. she said nothing… and then in the silence he could hear a sound begin to pour in. she was at the temple. was it the temple near her house? she had pointed it out to him once long back. then he thought, why should he bother, she had not even spoken to him throughout. not a word. he paced up and down in his room for a few minutes. but this need to see her, to hold her and soothe her assailed him. he shook his head exasperatedly and threw the phone on the bed. he walked out onto the poolside and stood for a moment looking up at the sky… bright sunlight, yet there was a sense of darkness. he swiveled around and strode back to his bed, snatched up the phone, picked up his car keys and went swiftly out of the house. he had no idea if this was the right temple, but he drove there anyway without wasting any time. he parked and was crossing the road when he saw her. she was standing on the steps at the entrance and she seemed to be confused. then she put a hand on her head and started to sway… he had no idea how fast he ran when he saw that. if she fell she would hit hard stone floor. he had to catch hold of her before that. a car narrowly missed him as he ran across the road, the driver called him some unprintable name. asr didn’t even seem to hear. he had to get to her. she was about to let go when he reached her, his arms already extended to catch her. she collapsed in a pliant heap on him, the impact of her body making him fall back a bit, then he steadied himself and looked down at her. she looked so pale and fragile lying there in his arms. and tears… a whole cluster of them clung to her eyelashes. a sharp jag of pain glanced through his body, his heart seemed to feel its impact. he went down the steps and to the suv with her. when he made her sit on the passenger seat and put on the seat belt, she lay there limp, not responding. he got into his seat and was about to start driving when he caught sight of her wan face again. he had to stop. he leaned over and gently touched his lips to her closed eyelids where the tears glistened on dark lashes. salt got left back on his lips. he licked his lips in reflex. he could taste her tears there. and he did not like the feeling at all. why should khushi be in this state? why should she cry? he put his arms around her and kissed her tenderly on the lips. he drove to her place, when they reached and she was still not awake, he carried her inside. she called much later that evening and thanked him for taking her home. he knew what was between them was perhaps gone, never to return, he was angry with her for saying yes to someone, and yet he felt happy she had called. it was a beautiful restaurant. one of london’s trendiest. gordon ramsay’s new place and the food was interesting and different. the well known chef of the rather foul tongue had been to south east asia earlier in the year on a quest to master the most popular dishes of the highly food oriented people in that part of the world. he had come back recharged and wildly enthusiastic about new tastes and textures. here in his new restaurant he explored that in a menu splashed with exotic fusion combinations of south east asian hawker food and popular western dishes. he had a bite of his crab cake flavoured with singapore pepper crab spices and looked at khushi. she was picking at her delicate looking pesto sauce and laksa noodles which had come plated in a large platter with a tiny little mound of pasta arranged prettily right at the centre, lots of empty white plate all around. khushi had started out looking thrilled, then her expression had slipped to one of stoic acceptance. asr finished his food while khushi struggled. when he was done, he called for the bill without checking if she wanted anything else. she had not enjoyed the pasta, but she had finished it nonetheless, she hated wasting food. she was so looking forward to a large dessert to fill the gaping hole in her stomach, but arnav ji seemed to be in a hurry, maybe he was tired, so she kept quiet. they were in the car going back and she was talking about all sorts of things… the buckingham palace which she had seen just that morning, st paul’s cathedral which was so pretty, and yes peaceful, and the koh-i-noor. oh how shining and beautiful was that… when she noticed instead of turning left at one point, he veered right. “arnav ji, that’s not the way home!” she warned. “i know…” he smiled slightly. he liked it when she called his little pad, home. soon they had reached piccadilly and he turned into regent street and found parking. a short walk and a turn into a little lane later, they were going up a plush carpeted staircase, khushi read a nameplate somewhere along the way that said veeraswamy’s. they were ushered to a secluded table overlooking the street. khushi looked around nonplussed yet excited. it was an indian restaurant! arnav ji had already got the attention of a waiter and completely ignoring the menu, he had started to order, “get us vegetable biriyani, boondi raita, kashmiri aloo dum, matar paneer, dal tadka, naan, and some hot gulab jamuns with icecream for dessert… and… some gajar halwa also.” khushi was gaping at him. khushi almost fell off her chair at that. in this land of pasta, salad, sandwich, soup? she looked at asr, tears of joy almost coming to her eyes. it was sunday morning. and today the sun was shining bright. not a hint of grey anywhere. the colours of the trees and sky were true and fresh. church bells could be heard in the distance. there was a crisp energy in the air. a picture perfect day almost. asr was having a shower while khushi went about making the bed, opening the curtains, getting something on for breakfast. mrs higgs wouldn’t be coming in today, she would go shopping with her tomorrow, khushi decided. they needed vegetables, eggs, bread butter, flour, oil, sugar, everything. she would make arnav ji a nice cheese paratha now, he would grumble about the oiliness but eat it anyway and khushi was sure he thoroughly enjoyed it too. as she ran about the apartment putting things in order, she hummed a song. he had just come out after a bath wearing only his large white bath towel tucked around his waist, and he was looking at his shirts, lingering while he listened to her voice. she rarely sang like that, but whenever she did, he heard quietly, a funny kind of happiness stealing into him. “khushi!” he was shouting her name and running out to the sitting room at the same time. what was wrong? he found her standing frozen by the window. she seemed to be okay. he breathed a sigh of relief and walked over. “what’s the matter?” he asked. she turned around and saw him, and shrieked again. “why?” he was completely puzzled now. “nahin, woh!” she mumbled. she was flushed, her cheeks had gone pink. he watched wondering what the matter was. 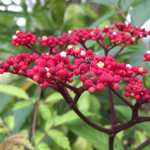 then her eyes fell on his chest, the springy hair that grew from just below his neck all the way down to his navel and she looked away again and turned a fairly bright fuchsia pink. uff, khushi, she thought to herself, again burey khayal. and what was that outside! while she pondered and looked bothered, he peeked out quickly to see what had got her so frazzled. right below, on the open deck of the house next door, a young woman lay on a chaise longue wearing a straw hat, large sunglasses, a tiny little bikini bottom and nothing else. she was sunbathing, so what it was november and rather chilly. her bare breasts were visible to the skies above and everybody who cared to see from the buildings all around. asr’s shoulders shook with laughter, he turned to look at his horrified wife’s face, now fully understanding what had put her in this state. then as he looked at her, he felt a rush of pure, absolute desire come and overtake him. he started to move, walking deliberately toward her. he kept walking toward her anyway… completely engrossed now, his eyes on hers, his gait slightly menacing. the towel swayed as he moved, a regal slowness to it. asr could feel the skin on his back tingling and a need surging through him his entire body. as she felt her back hit the wall and stopped looking at him helplessly, he walked over and put his hands on the wall on either side of her head, trapping her, looking down at her with a measured half smile. why must eyes shine like that, she thought, and tried not to quiver too much… she, in fact, made the mistake of lifting her chin slightly in defiance. his breathing had become short and his hands urgent. he dragged her to him and stumbled over to the sofa falling upon it, their arms and legs entangled. he heaved himself up over her for an instant and whipped the towel off him, flinging it away. khushi felt his body slam against hers as he lay naked over her. her hands went up to his back. smooth taut skin that khushi loved to touch. she ran her fingers all the way down the groove of his spinal cord, to his hips. she held him there and moved closer, her body now alive and wanting him. he sat up all of a sudden and helped her take her clothes off. neither of them spoke. it didn’t matter to her it was the sitting room. there was no time to think of such things. only an absorption, a driving need, a gnawing in the gut, and a joy in touching, in stroking, in nudging, in holding, in pushing, in arching, in screaming, in falling, in heaving. they lay together in each other’s arms entwined, oblivious to anything but each other… and the morning went by. aman had tried to call many times, an important buyer, mr yosel sassoon wanted to invite sir and khushi bhabi for dinner the next evening. seemed sir was not available to take a call today.